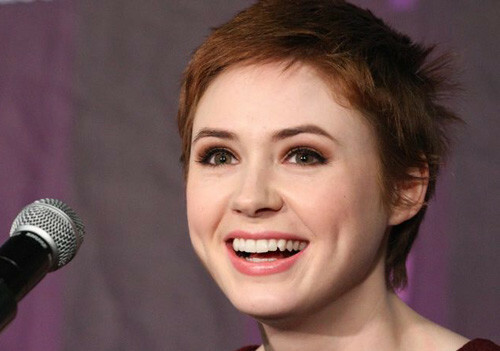 Doctor Who‘s Karen Gillan has been cast in writer-director Ti West‘s revenge Western, In A Valley Of Violence, alongside Ethan Hawke, John Travolta and Taissa Farmiga. Deadline reports, Gillan will play Ellen, the older sister to Farmiga’s character. Together they run a hotel in the town where Hawke’s drifter seeks vengeance for the death of his best friend. This will be the second Blumhouse Productions movie the Scottish actress has starred in, following her recent lead in horror hit Oculus. Gillan will next be seen in Marvel’s Guardians of the Galaxy as Nebula and will also star in ABC’s comedy Selfie, which is due to air in the US in the autumn. In A Valley Of Violence is due to begin shooting in late June.